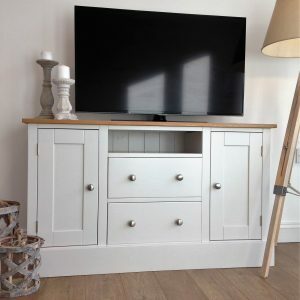 This piece has a very nice, contemporary look and fits with most interior design styles. 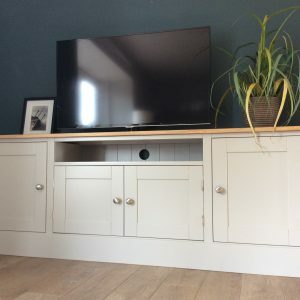 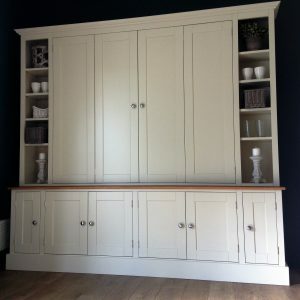 As well as offering an open shelf to house your DVD and sky boxes etc it also has a cupboard below for storage with two doors. 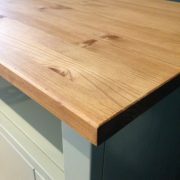 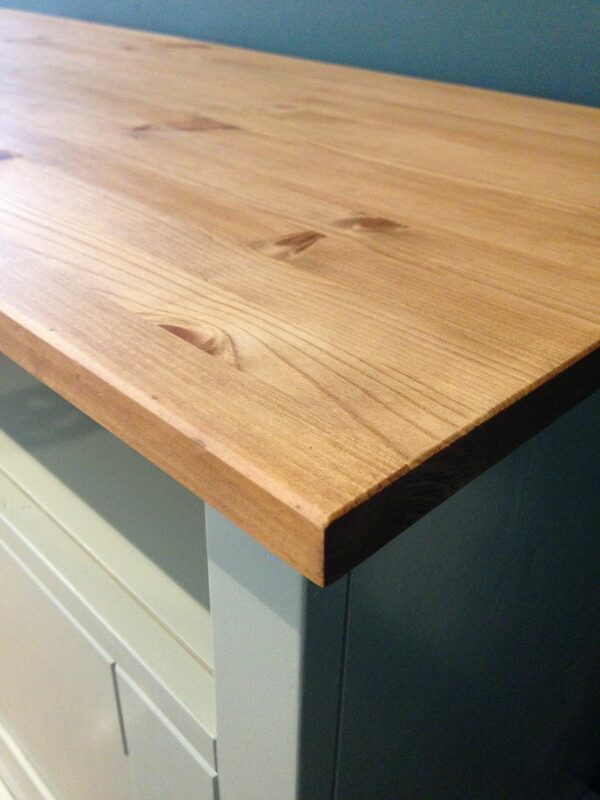 All our furniture is handmade using dovetail, tenon and mortice joints none is flat packed in any way. 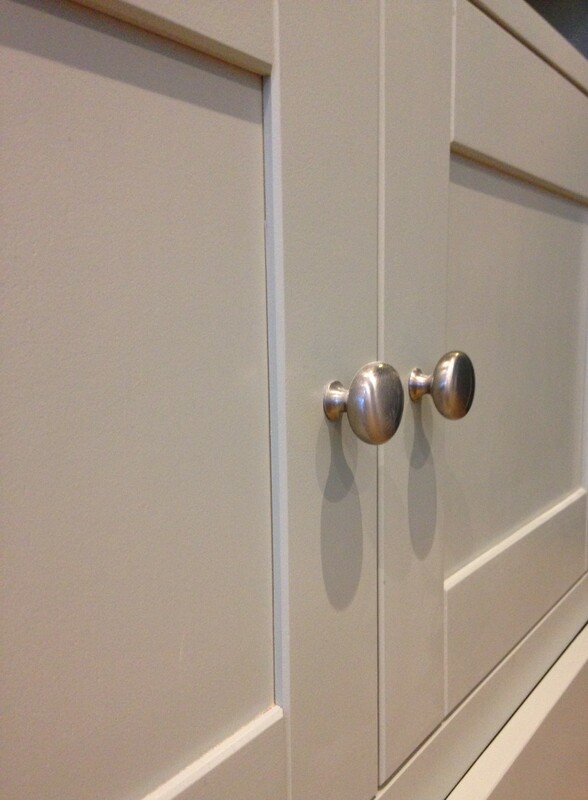 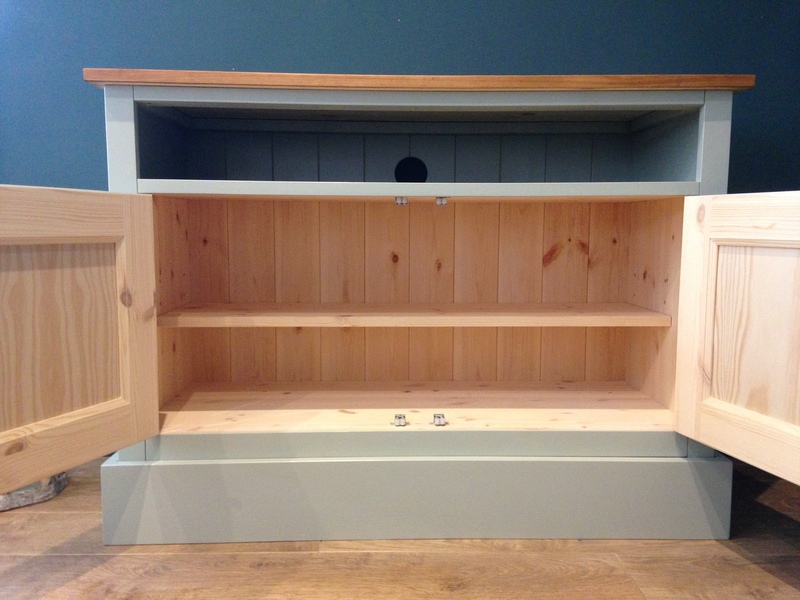 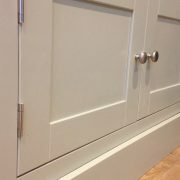 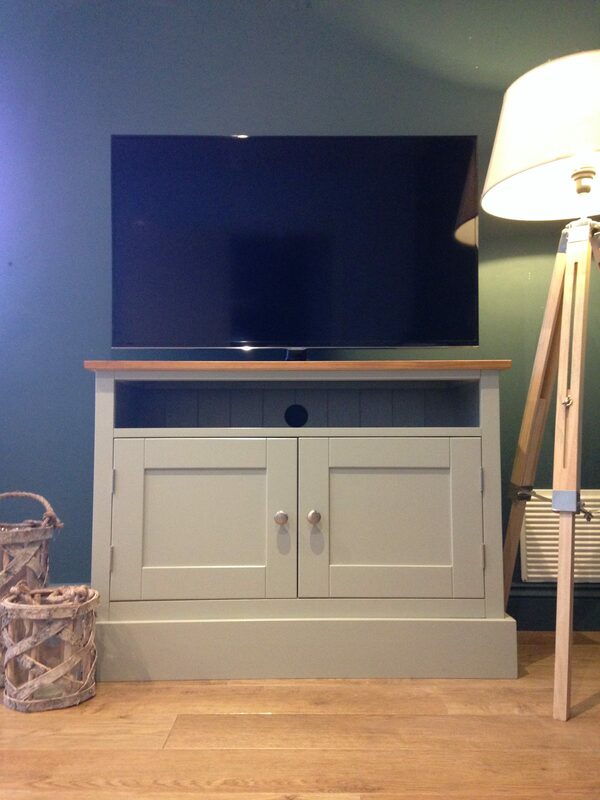 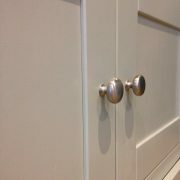 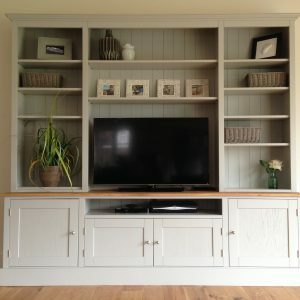 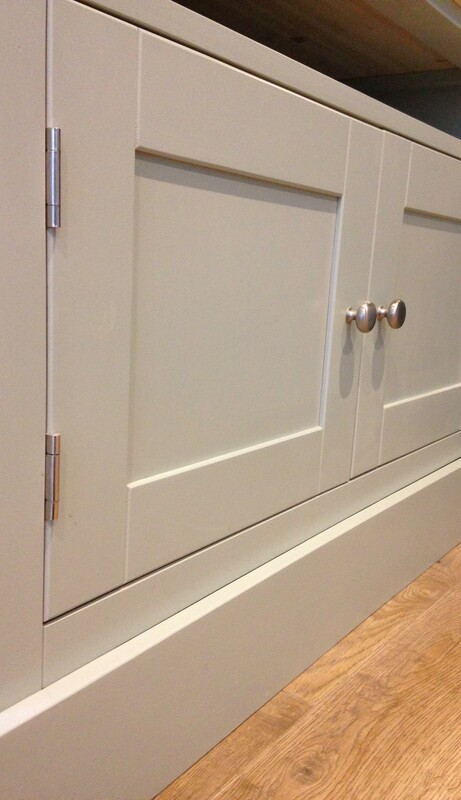 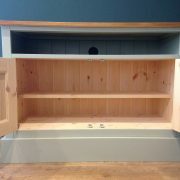 This unit is painted in Mizzle by Farrow and Ball but you can choose any Farrow and Ball colour for your unit.